An established Columbia County winery has crossed the river to open a tasting room in Tannersville, the newest of several eating and drinking establishments that have recently debuted in the Greene County mountaintop village. Hudson-Chatham Winery, which has been making award-winning wines using all New York State grapes since 2008, is scheduled to pour its first tastings this Saturday, July 18, barring any last-minute paperwork delays with its state permits, said Carlo DeVito, who operates the Ghent, N.Y., winery with his wife Dominique. “We’re really excited to be here, and to throw the doors open and start pouring,” said DeVito, who hosted an open house over July Fourth weekend to show off the tasting rooms and lounge area, which will have a wine bar feel. The tasting room will be open from noon to 5 p.m. on Friday, Saturday and Sunday to start, and will adjust its hours as the business develops, DeVito said. It will offer tastings of its own wines, bottle sales and special events featuring other local and regional products such as bourbon. It is not a restaurant, but will offer a cheese plate showcasing crackers, breads and cheeses from Columbia and Greene counties. Other prepared foods that Hudson-Chatham develops with fellow Hudson Valley producers, such as jams, will also be for sale. The DeVitos saw an opportunity to bring their products to a Catskills audience that might not travel to the main winery, and also a chance to tap into a ski crowd that will boost business in the winter months, which are slower at the winery. 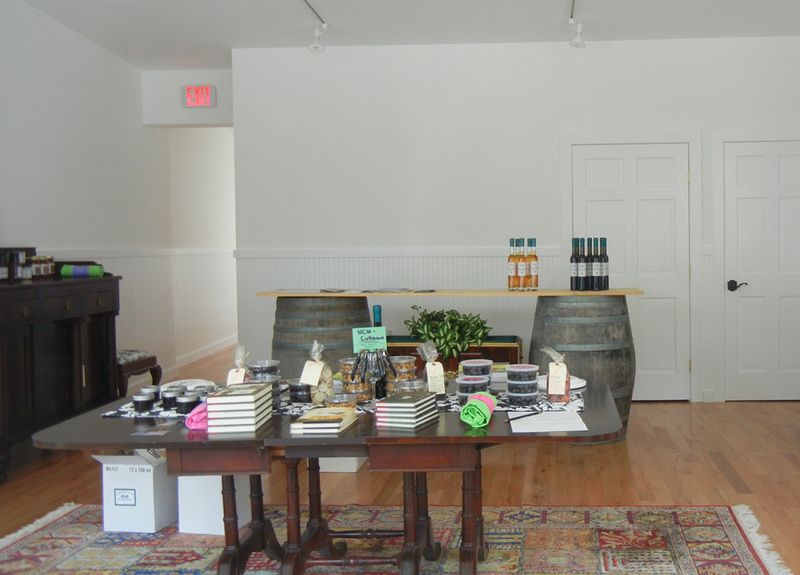 The Hunter Foundation purchased the building, which previously housed a candle shop, and then rehabilitated it in collaboration with the new tenant, bringing a black-and-white decor that echoes the original winery’s design. 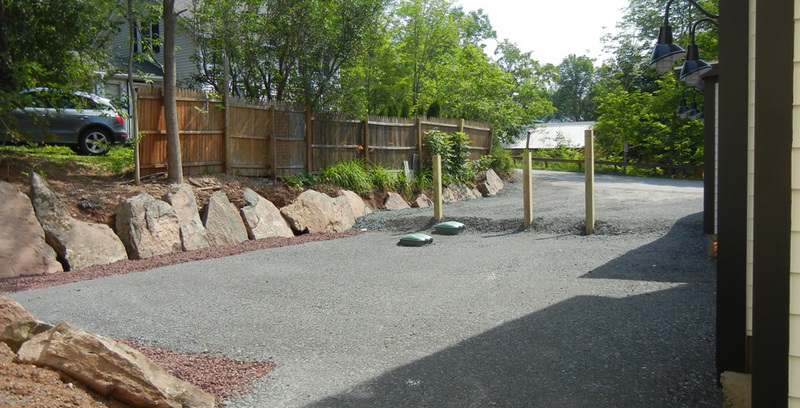 In addition to the interior space, there is also a spacious patio around back, which will offer outdoor seating. The new tasting room joins several other new spots that have opened in recent months or are scheduled to launch soon in and around the Tannersville/Hunter/Windham area of Greene County. They include two other Hunter Foundation projects, American Glory BBQ and Mama’s Boy Burgers. American Glory BBQ, just across the street from the new winery building, is closing in on its first anniversary, having opened in August 2014. Just a few blocks away, Mama’s Boy Burgers leapt off to a roaring start this summer, drawing lines from day one, along with early praise from big media like New York Magazine and Food + Wine. Located in the old Smiley’s ice cream building at 6067 Main St., Mama’s Boy Burgers is the brainchild of Michael Koegel, who has operated Mama’s Boy Market in Phoenicia for five years. 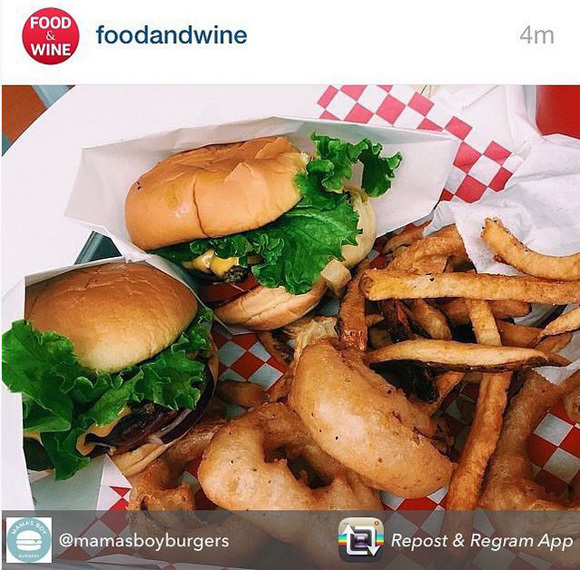 Food and Wine featured Mama’s Boy Burgers on its Instagram feed last week. “It was a great location. People were clamoring for Smiley’s to reopen, and it was just a great opportunity,” Koegel said. While Tannersville already had plenty of coffee shops, including the excellent 1-year-old Twin Peaks Coffee & Donuts on the eastern edge of town, Koegel correctly predicted that an ice cream shop would hit a niche. Desiring to operate year-round, however, he paired Jane’s Ice Cream and 26 flavors of soft-serve custard with local grassfed Angus Beef burgers sourced just a few miles away at JJF Farm in East Jewett. Fries, salads, shakes, floats and a couple of sandwiches round out the menu, resulting in a Shake Shack, In-N-Out Burger feel to the place, but with a unique Catskills atmosphere–and a giant ice cream cone on the roof. Mama’s Boy Burgers opens daily at 11:30 a.m., and closes at 9 p.m. during the week and 10 p.m. on the weekends, and it is often slammed from open to close, Koegel said. The 18-year-old nonprofit, whose mission is to boost economic development by using private funds and federal grants to purchase and rehabilitate old buildings in the Hunter area, also celebrated the opening of a new pharmacy, Wellness Rx, in the Astor House building in Tannersville last month. The foundation has also purchased the old Villa Maria resort and is currently conducting a feasibility study to examine options there, Jakubowski said. Each of the four newly opened businesses is an expansion or spin-off of an existing business outside of Greene County; the original American Glory is in Hudson, and the first Wellness Rx is in High Falls. That’s a sign that Tannersville, with help from the Hunter Foundation, is drawing successful business owners to take a chance, said Jeff Friedman, the executive director of the Greene County Chamber of Commerce. “Tannersville is growing quickly and steadily,” said Friedman, noting several other new businesses opening in nearby towns. 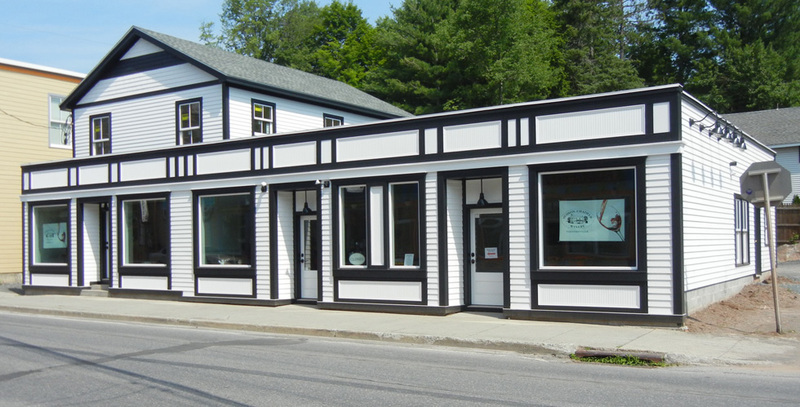 Among them: La Patisserie Normande, a French pastry shop at 5339 Main St. in Windham; Karen’s Country Kitchen, a new breakfast and lunch cafe in Hunter Village Square, which began as a food truck last summer; and Hunter Mountain Brewery, a restaurant that opened at 7261 Route 23A between Hunter and Tannersville in May. Hunter Mountain Brewery is not making its own beer yet, but has the set up to do so eventually. In August, yet another brewery, Hammo’s Brewpub & Lodge, is scheduled to open at 39 Goshen Road in the hamlet of Hensonville, within the town limits of Windham. Since breweries, wineries and distilleries make up a large percentage of the county’s growing business base, Friedman’s organization is working to establish a Greene County Beverage Trail. The chamber has applied for a state grant to set up a program showcasing beer, wine, cider and spirits made from Catskills and Hudson Valley farm products, similar to the trail that Schoharie County is set to launch Aug. 1. Hudson-Chatham Winery will be happy to join in, DeVito said.